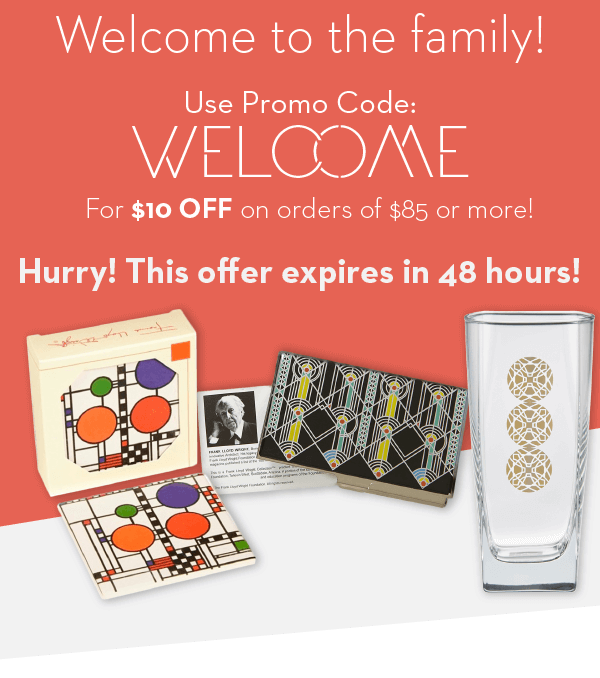 Sign up to receive the latest Frank Lloyd Wright Foundation product releases, specials, and updates. POWERED BY turnkey merchandise programs, llc. Except for certain license rights granted, turnkey merchandise programs, llc. 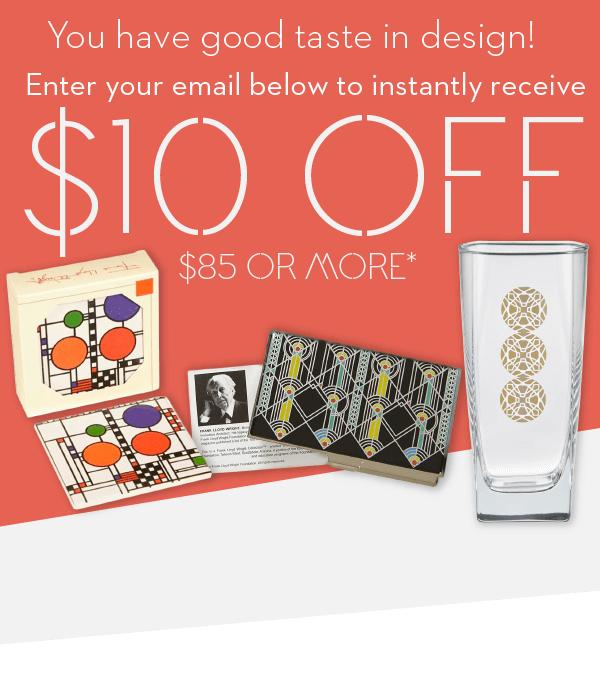 is not affiliated with Frank Lloyd Wright Foundation and Frank Lloyd Wright Foundation is not responsible or liable for any loss or damage incurred by you as a result of your dealings with shop.franklloydwright.org turnkey merchandise programs, llc. Customer Service: 61 Clark Road North, Battle Creek, MI 49037 or Call (888)348-9210.